Today is the Sew Grateful Week Projects Day and I'm delighted to share my most recent make with all of you. 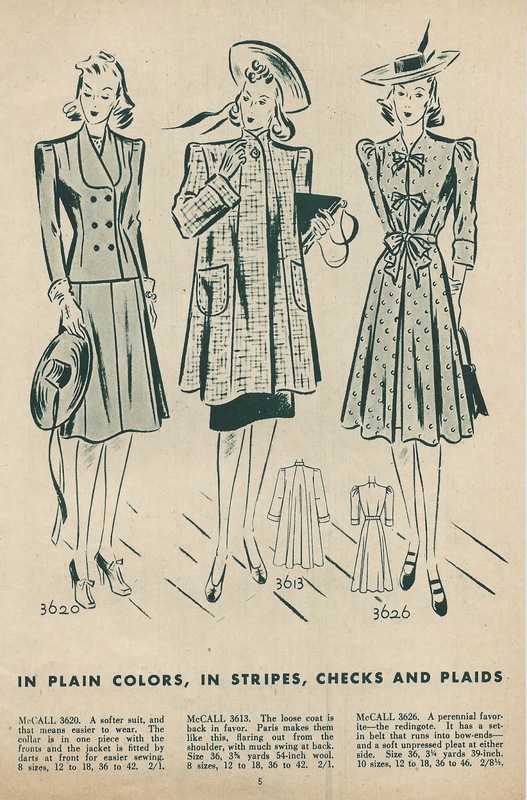 It's a 1940 McCall pattern (surprise!) 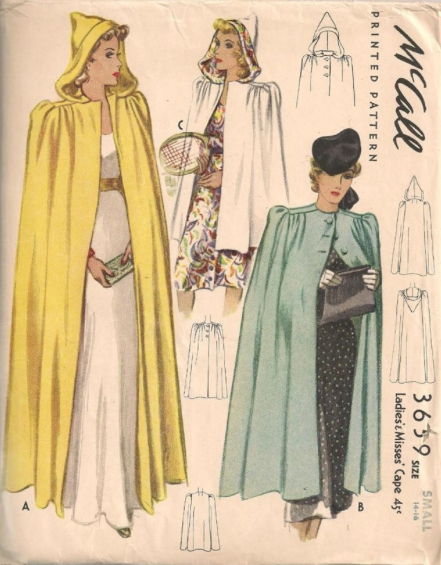 but I felt that was the most appropriate for this week because I am so incredibly grateful for everyone's support and wonderful comments on the 1940 McCall project to date! 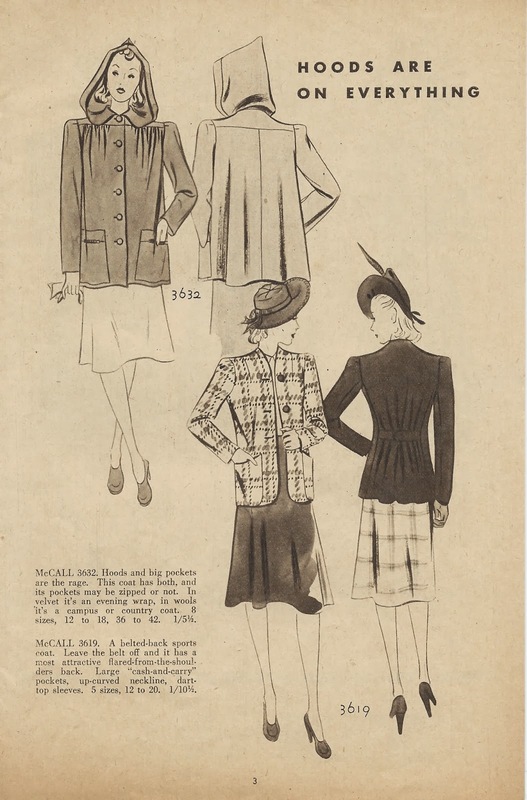 Several readers have sent me McCall patterns or links to patterns for sale and I am always incredibly moved by this!! 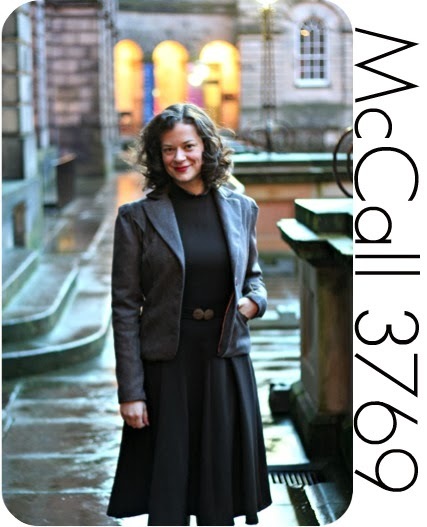 For this week, I tackled McCall 3769, a beautiful jacket pattern that features really nice princess seamed lines that turns into pockets. The pattern was fantastic to follow. 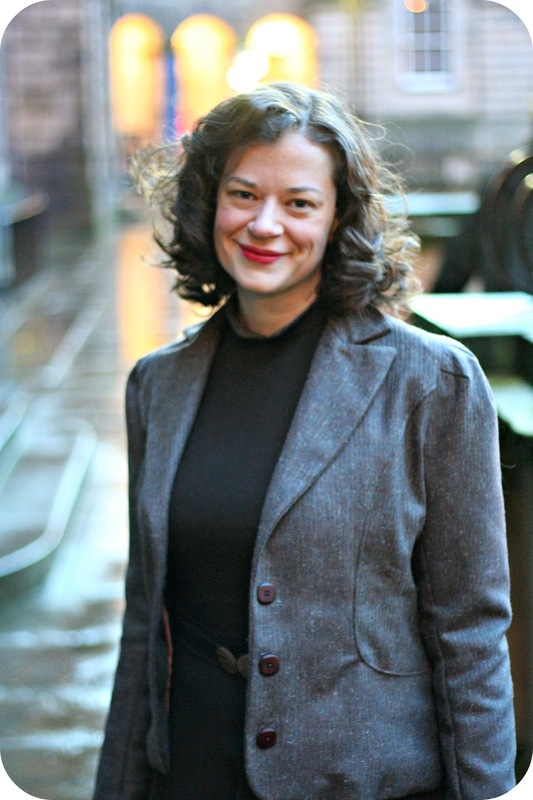 I am especially chuffed about my jacket lapels! Usually my corners look, ahem, suspect. This time, they look like jacket lapels! yay!! 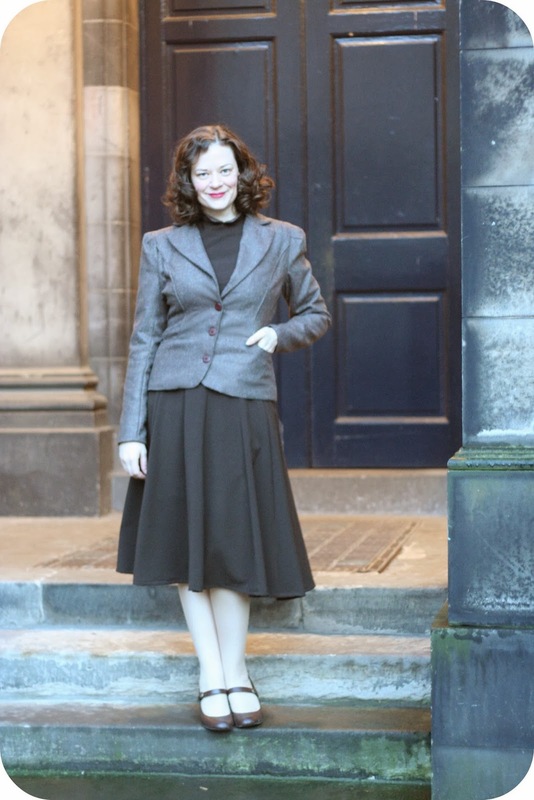 Thirdly, I want to say thank you to the wonderful sewists here in Scotland. We recently met up in Glasgow and it was fantastic to meet everyone! 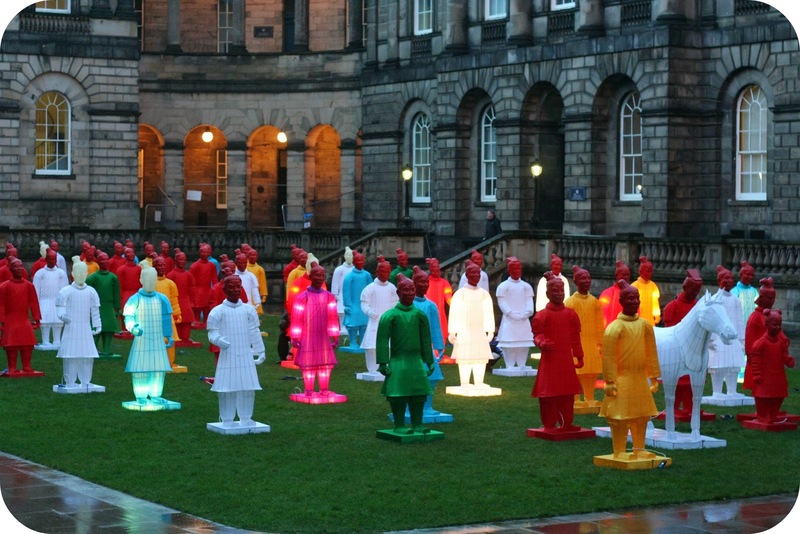 I heard about the Chinese lantern army that was set up in Old College, Edinburgh through Franca who blogs over at Oranges and Apples. So we decided to head over there for the photos and what a lovely backdrop it was! Check out more about this outdoor exhibition and her amazing photos over at her blog. The fabric is a medium-weight wool that I got at Armstrong's Vintage store for super cheap (I think it was £10 for 3 metres). I even have enough left over to make a matching skirt. The front princess seam is attached using a lapped seam which almost gives it the appearance of being piped. The bottom of the seam opens up into pockets. 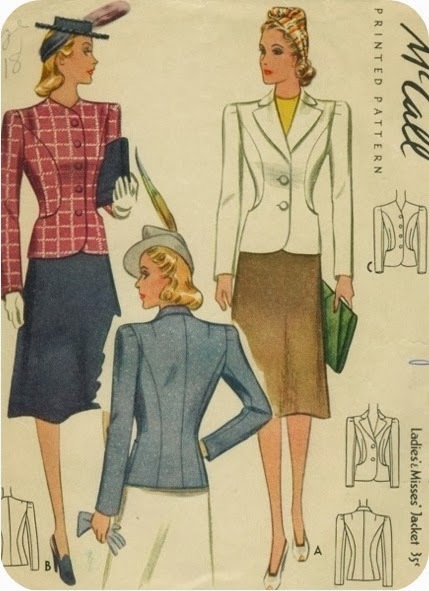 I adore the sleeves on this and the sleeve caps are pleated. 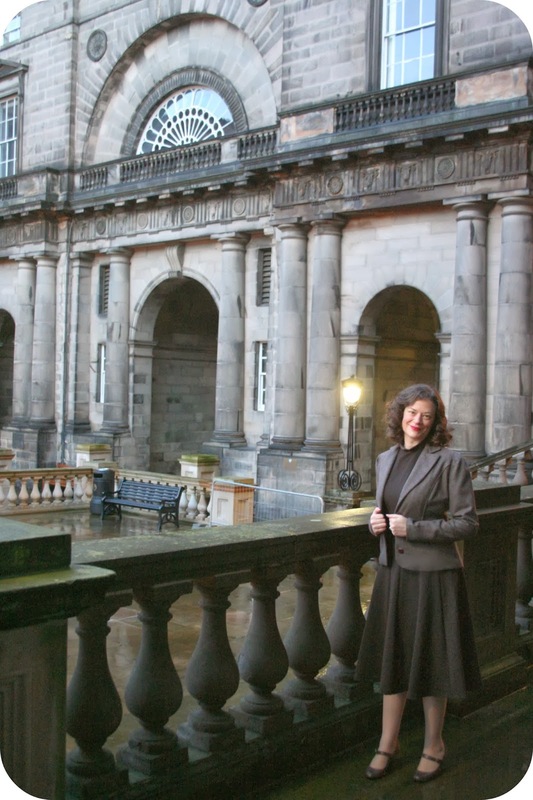 These pictures were taken in Old College which is the University of Edinburgh's Law School. So pretty…. You can sort of see it in this picture but the jacket is lined in a light brown lining fabric. I really hate inserting lining--I don't know why. I think in the future I will just use different techniques to neaten my inside seams. With this weight of fabric, I don't really need lining and I don't mind the feeling of wool (I actually prefer it to the feeling of lining fabric). The only drawback from the pattern is that I must have added too much width when grading up the pattern in the back. You can see that it's just ever so slightly too wide. I'm not too bothered about it but it's a good lesson that I need to remember that I have a narrow back when grading up patterns! 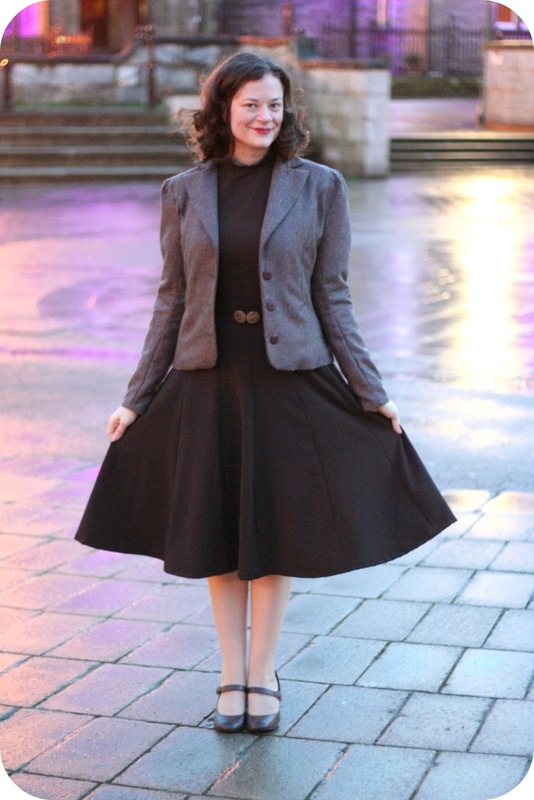 Very happy with my new jacket and it goes perfectly with my Birthday dress. 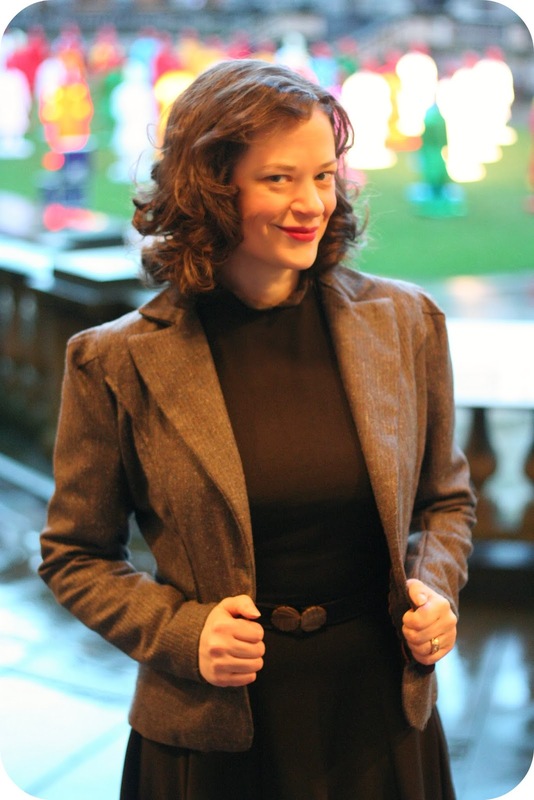 You might have noticed that I also made a matching belt for my dress with a neat art deco belt buckle. It's just peaking out but I'll need to get some belt close-up photos to show you the buckle. 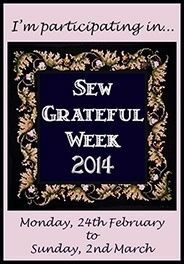 I hope you've had a lovely Sew Grateful Week! Definitely add your giveaways, reflection posts, resources posts and projects to the link parties before the end of the week. And check out the amazing posts from others. I've been blown away by everyone's participation. It's been so much fun to read everyone's contributions! Today is Sharing Resources Day! Just add a link to your blog post below. It's one of my favourite days of Sew Grateful Week…sharing resources day!! 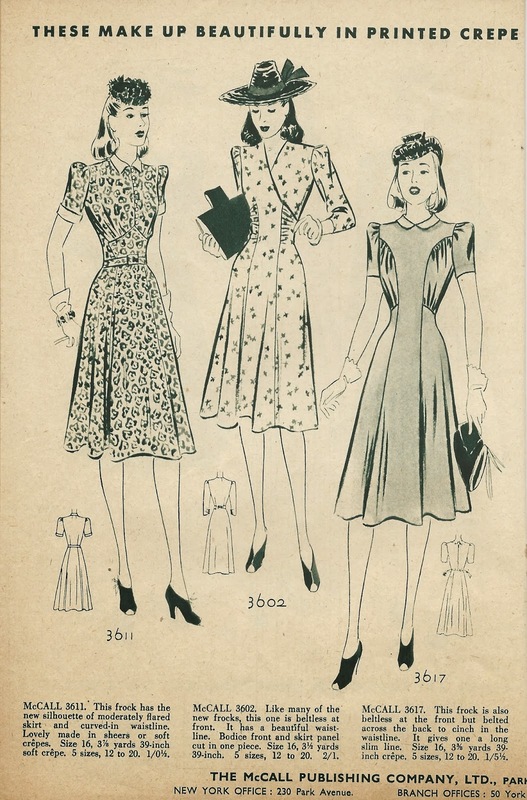 This is where you can share free patterns, links to your favourite and most used resources, scans of old magazines, etc. 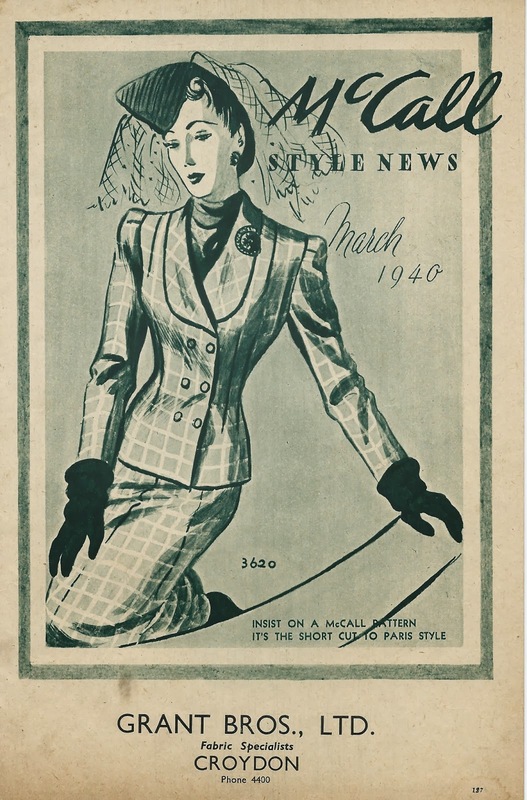 To mark the end of February and celebrate the coming of March, I'm sharing scans from my 1940 McCall March Style News booklet. Enjoy! Which outfits are your favourite? Today is all about reflecting on what we are grateful about with regards to sewing! Share your thoughts, pictures and creative ideas in a reflections post and add your link here…. Letters seem to be going out of fashion, but both David and I love writing letters. There is something about a letter that is so much more personal. So here's my letter to all of you, my dear friends! YAY! Super excited that Sew Grateful Week has arrived. Today is the Giveaway Day…so post your giveaways today or anytime this week and be sure to stop by and put a link to your blog post! 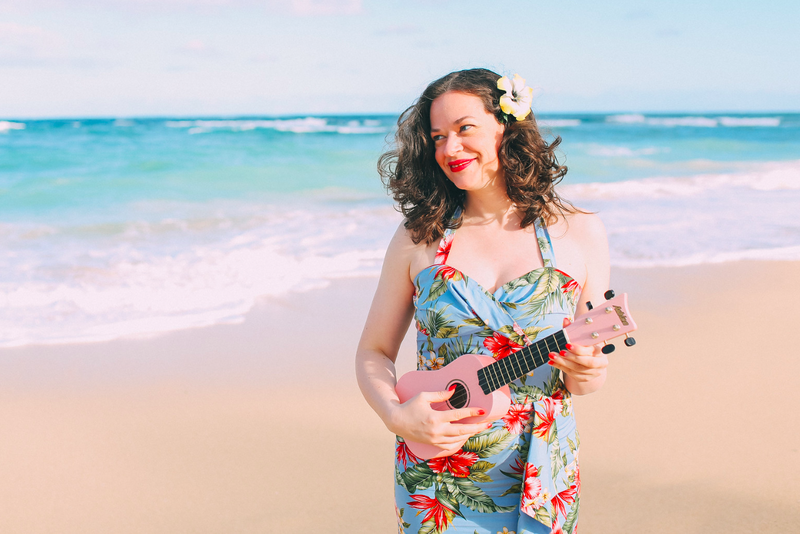 I'm very happy to giveaway two things that are near and dear to me! First, I'm giving away 2 metres of your choice of Weaving Destination cotton fabric. If you've been following my blog for awhile, you'll know that Weaving Destination is an amazing initiative that I am very lucky to be involved in that provides sustainable livelihoods for a collective of women weavers in Assam, India. Read more about it here. 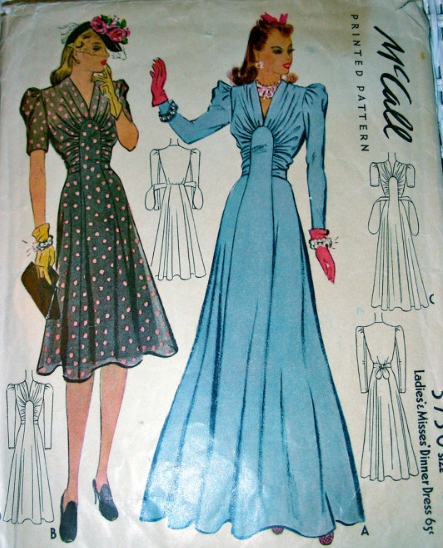 Just leave a comment and let me know 1) what colour fabric you want and 2) which pattern you would like. I will ship anywhere in the world. Leave a comment by Friday midnight GMT time and I will randomly pick a winner! Good luck and have a happy start to Sew Grateful Week! Yes, it does happen. 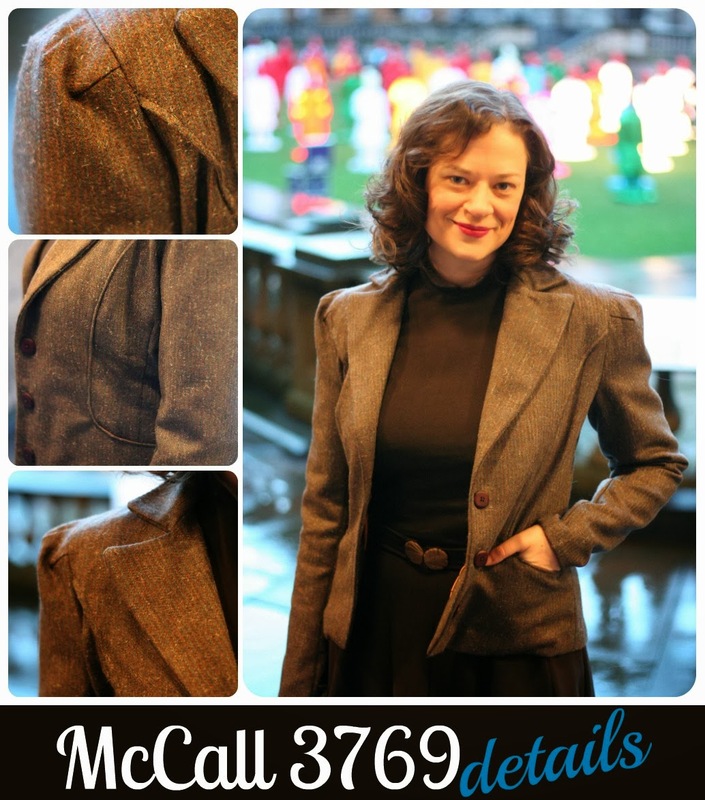 I do occasionally sew from patterns other than McCall! This is my Valentine's Day 'Chocolate and Wine' dress or also known as the world's longest UFO (unfinished object). 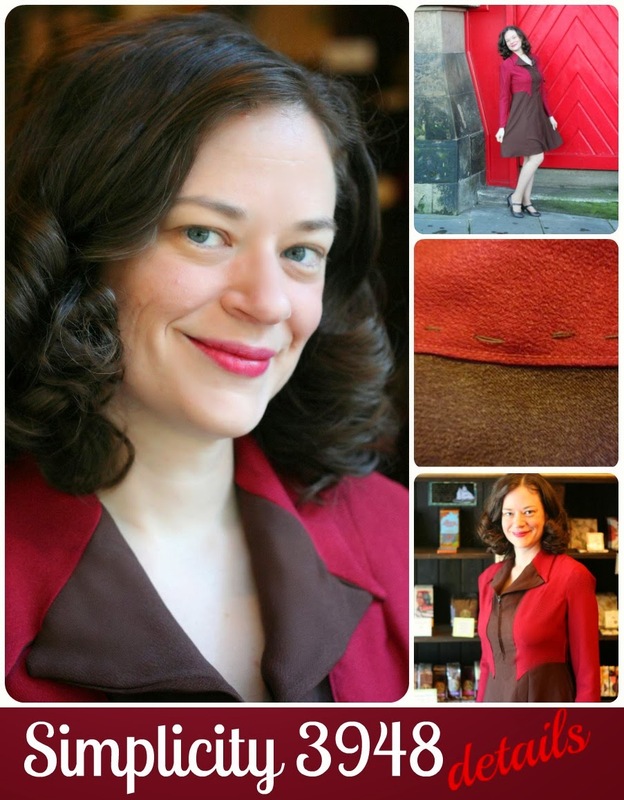 If you followed me back in 2011 on the Sew Weekly, you will have seen parts of this dress then. 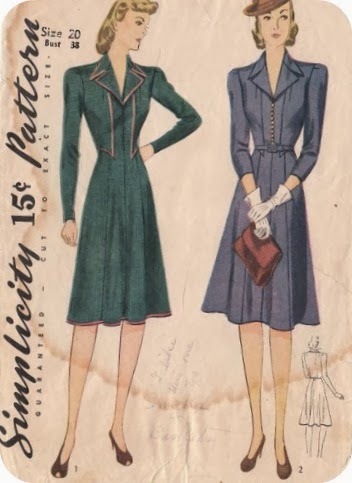 I used Simplicity 3948 from 1941. 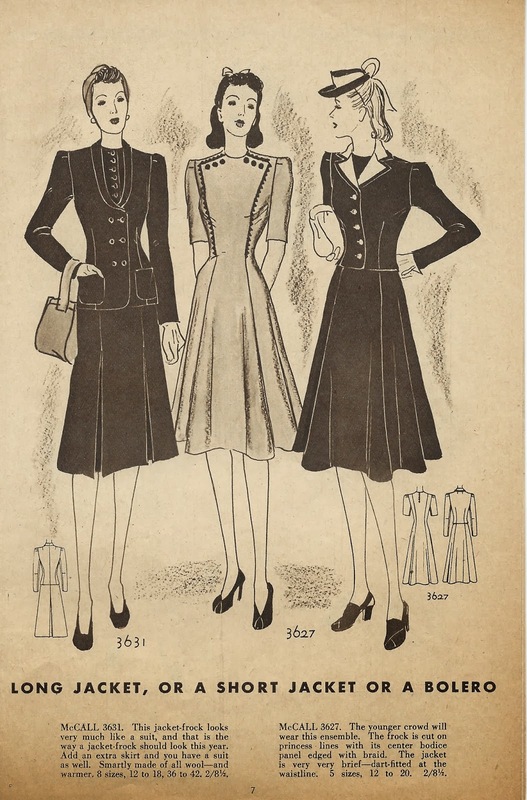 The original theme was to sew a dress inspired by a designer. 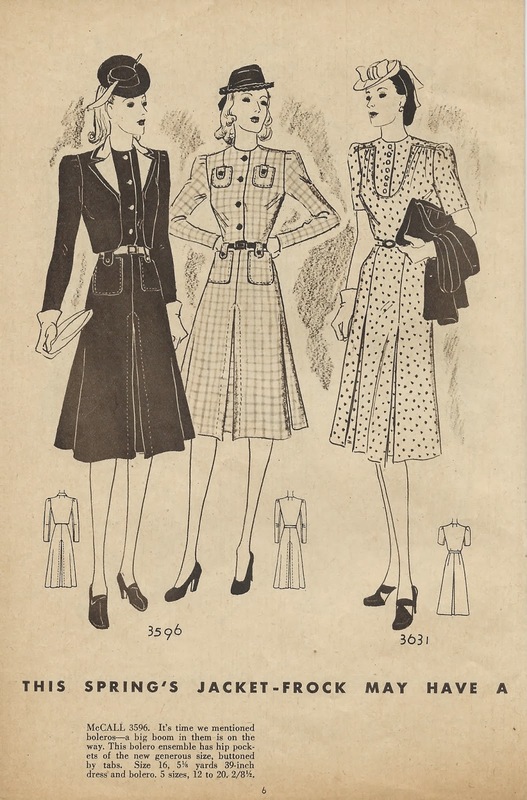 I chose Elizabeth Hawes, an American designer who started in the 1930s and continued on into the 1940s. 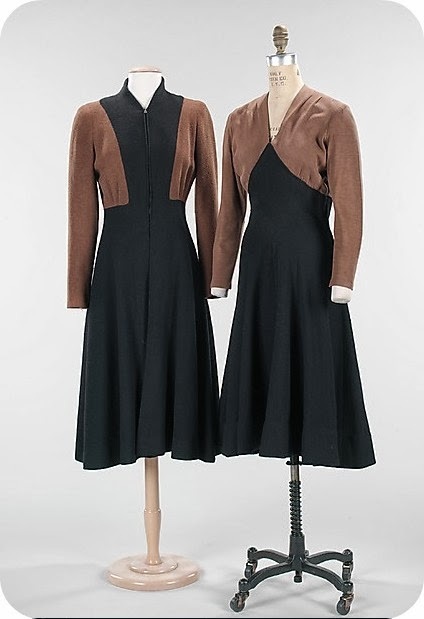 I love how the light brown fabric looks almost like a bolero. My real inspiration, of course, came from the colours of two of my favourite things: chocolate and wine!! I made the bodice piece in a contrasting fabric to mimic the 'fauxlero' look. Overall, I'm happy with how the dress turned out. You'll notice it's shorter than I wear my dresses. I usually never show my knees! hahaha. I think it works well though with the weight of the fabric! They have yummy chocolate drinks. 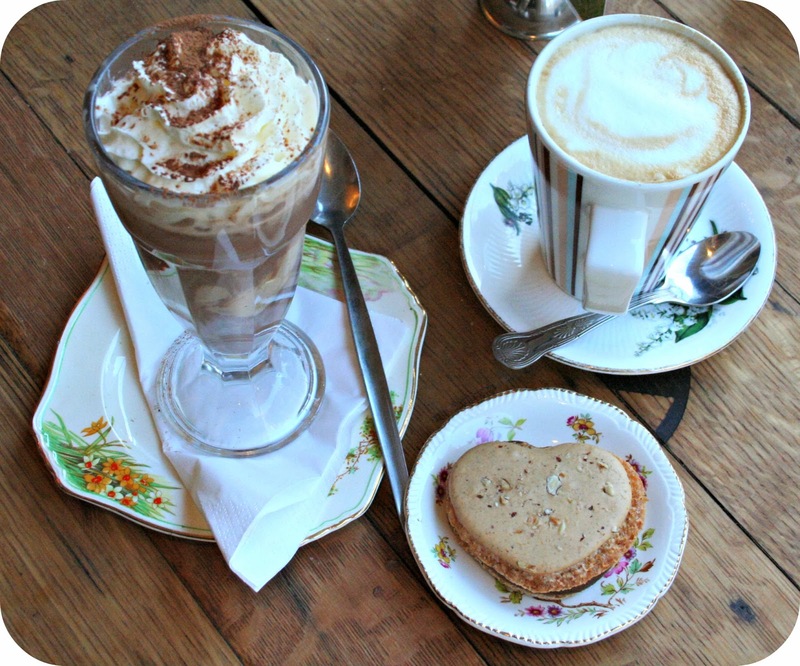 The one on the left is a latte with hazelnut gelato ice cream and of course, a salty hazelnut desert. Yum, yum. 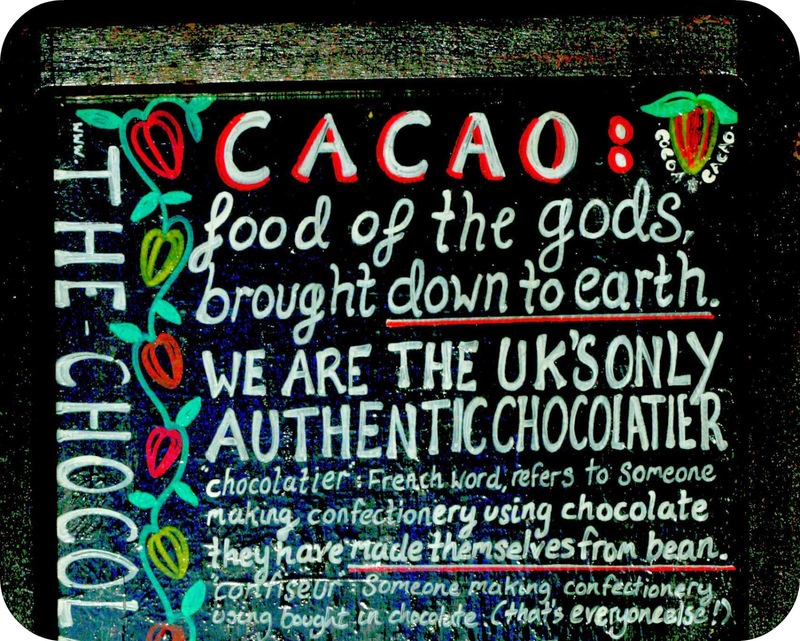 Of course, they make their own chocolate and you can buy chocolate bars and pieces at their takeaway counter. We sat right in the window of the cafe and it was funny the number of people that walked by and then doubled back to come in! Right, now where were we before I got distracted by the chocolate? Oh yes, the dress. While the front is all sorts of snazzy, the back is pretty straightforward with the bodice attached to the waist by a lapped seam. David faithfully transcribes everything I say! For example, the first words out of my mouth when smelling the 'Espirit de Puisseguin'? 'Bouquet of Yum'. 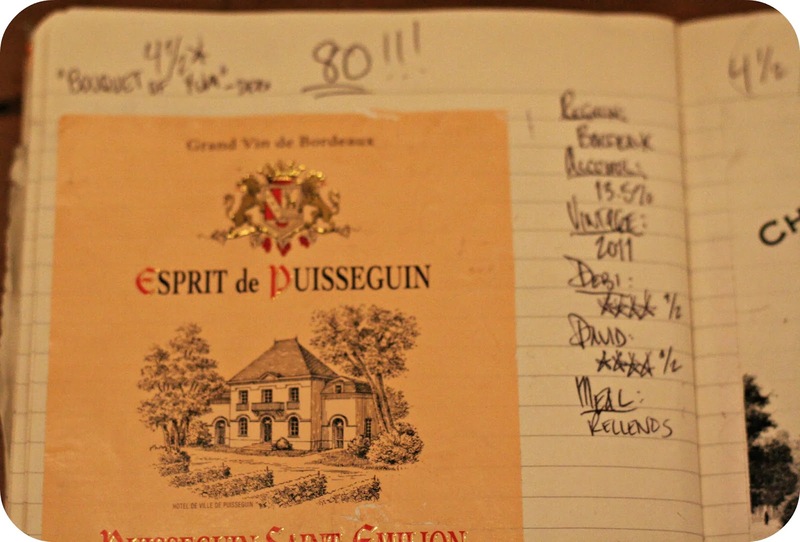 Oh, did I mention we rank each of the wines out of five stars? We gave this one 4.5 stars. So far we've tasted 111 wines. 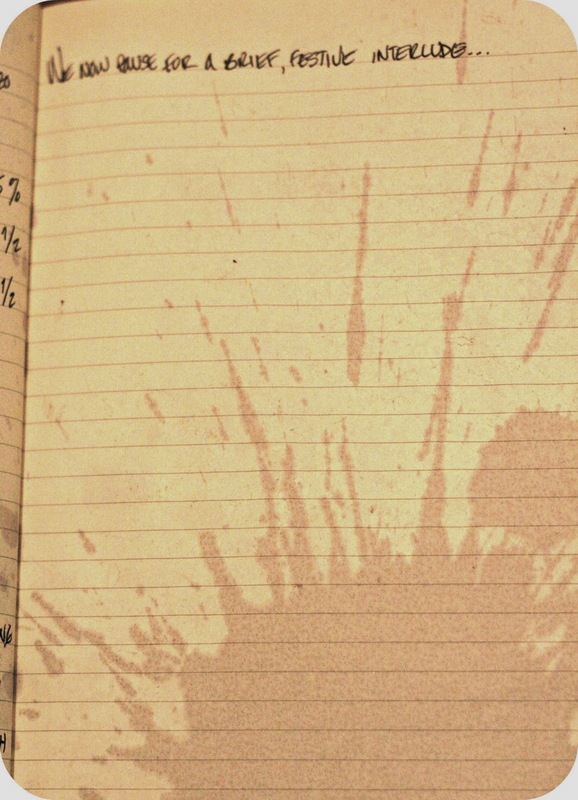 Unfortunately (or maybe fortunately) we didn't record when we actually started the journal. So I have no idea how much wine that is per week/month/annum. hahhaha. 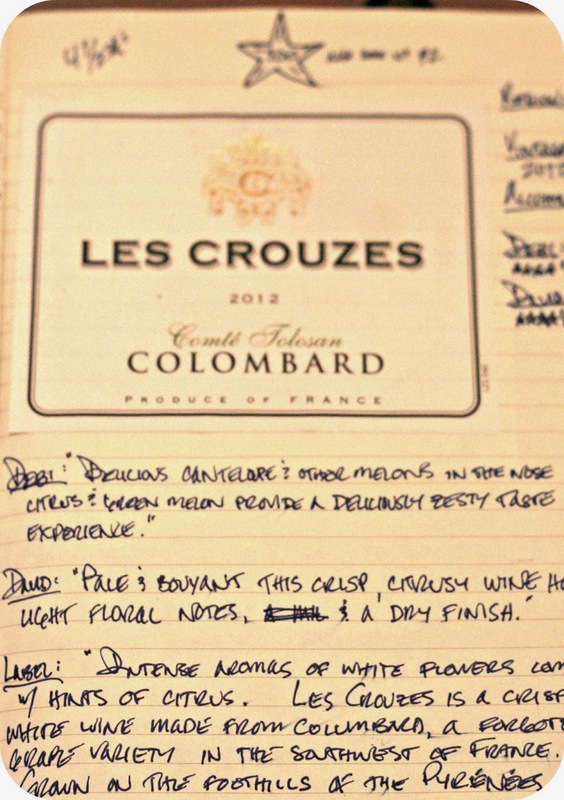 A few examples of funny tasting notes…. David: Rich and robust --round, berry flavours, spice, and a pleasant earthiness. Tannins add a dimension of complexity, balanced by a good weightiness and long finish. Debi: Very pale yellow in colour, hints of citrus melon in the nose, very fresh and summery. Fruit salad explosion in the mouth. David: Well, isn't that a tough one to follow? Light, golden, with a grassy, herbal aroma. Citrus zest with light floral notes, with hints of summer fruit, balanced with a brisk acidity to a pleasant finish. Label: Brilliant, clear yellow colour with lemon green hues. Fresh aromas of grapefruit and subtle rue notes with a pleasant acidity. 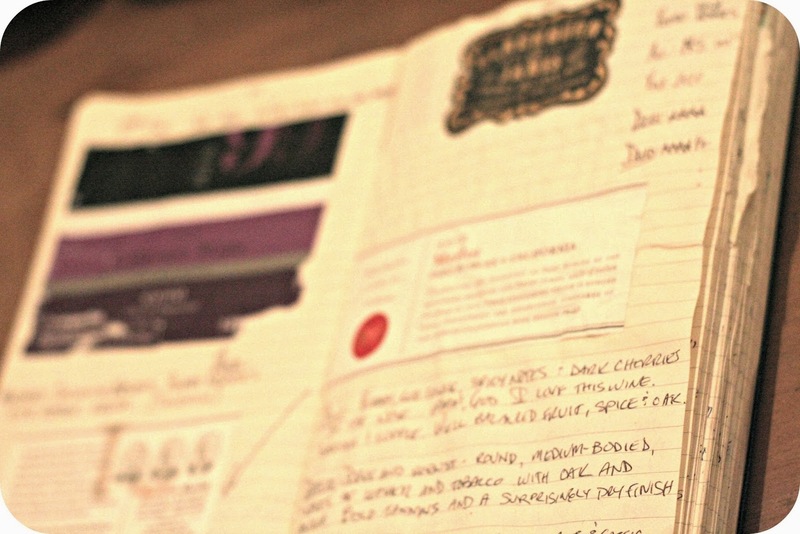 Did I mention we never read the label until after we've written down our tasting notes? It's a lot of fun seeing what they write. Debi: Plum and oaky spice in the nose. A velvety spice and vanilla notes on the palate…reminds me of of the opera Carmen. Dramatic and satisfying with a great soundtrack. David: Well, how in hell can I follow that? Nothing to add. Label: This carminere is soft, yet rich, with a nose of blackcurrant and coffee. Following to a palate of dark fruits, hints of chocolate and a toasty finish. And now I have a dress to wear as well….. yay for chocolate and wine! 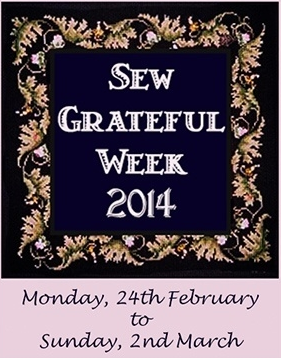 Sew Grateful Week 2014: Are you participating? It's that time of the year again! This year marks the 4th annual Sew Grateful Week!! Sew Grateful Week is an annual event to give back to the sewing community and to show gratitude for everyone that supports us in our sewing hobbies. Monday the 24th February: Giveaway Day. Host a giveaway on your blog or other social media platform to give something back to the sewing community. Tuesday the 25th February: Reflections Day. This is the day to reflect on the role sewing has played in our lives, reflecting on those who have been supportive in our journey and reflecting on what the online community means to us! What are you sew grateful for? Wednesday the 26th February: Sharing Resources Day. 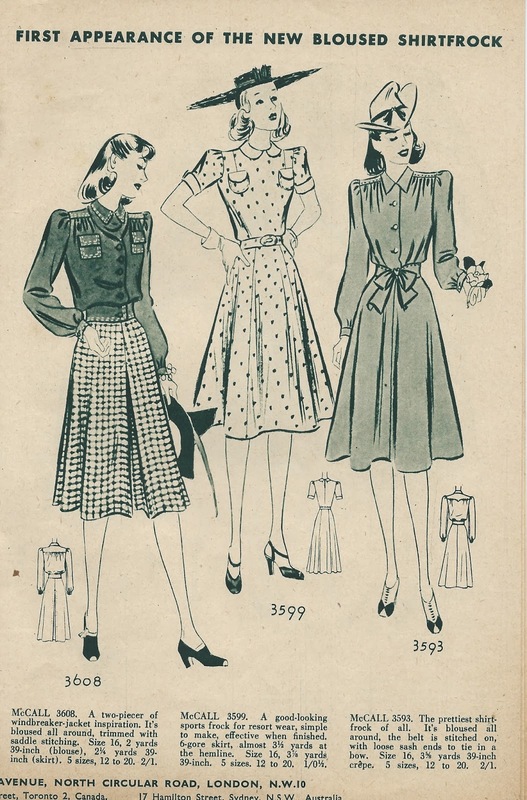 Share a free pattern, share some vintage sewing resources, share a tutorial or share some great sewing resource links! 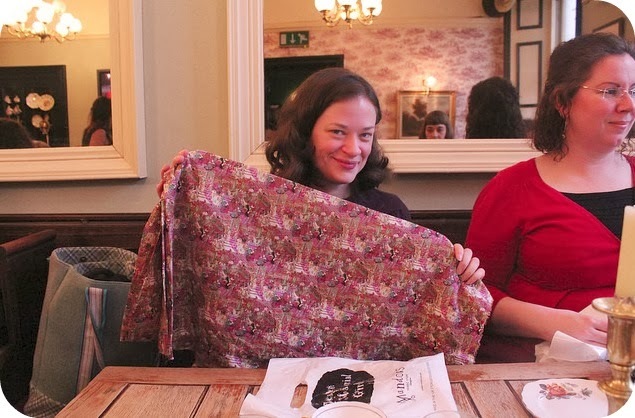 Thursday the 27th February: Sew Grateful Sewing Project Day. 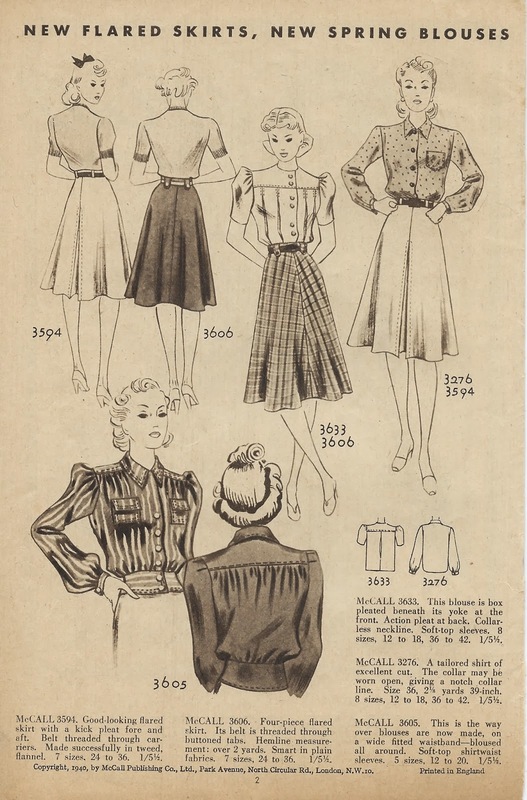 Showcase your latest sewing project. Whether it's a project using up that pattern that was a present from someone or that you won in a giveaway or using a tutorial someone has prepared, or even a project inspired by someone in the sewing community... the possibilities are nearly endless! Friday the 28th to Sunday the 2nd: I'll post a series of round-up posts of some of the Sew Grateful Highlights from the week. Check out the Sew Grateful Week homepage which has highlights from the Sew Grateful weeks in 2010, 2011 and 2012. 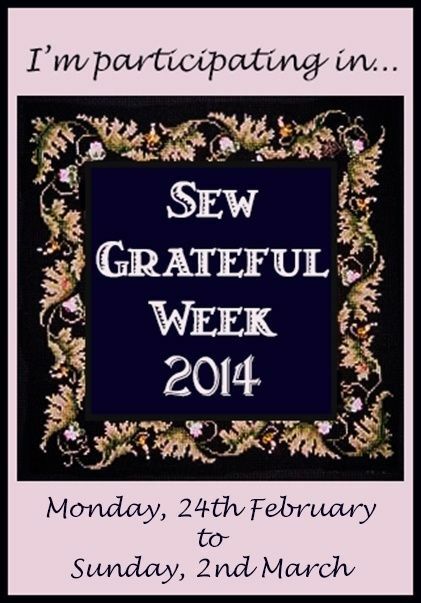 Looking forward to this year's Sew Grateful Week! Wow! Thank you everyone for the wonderful birthday wishes on my last post!! 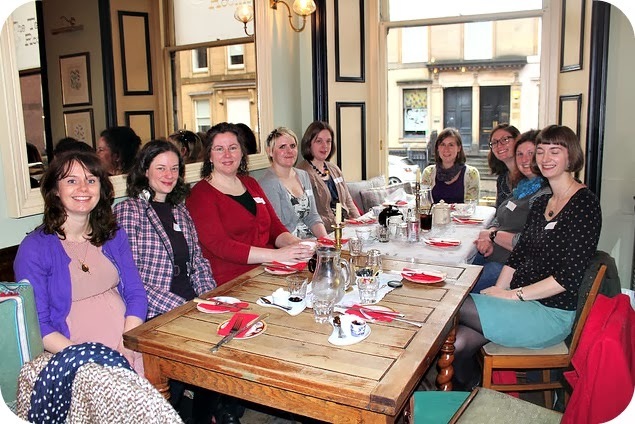 I wanted to share some photos from the super fabulous blogger meet-up last weekend in Glasgow. A big thank you to Kerry from Kestral Makes for organising! We met up in a local cafe and then went en masse to Mandors Fabrics and ended the day with a lovely lunch at a local tea parlour. So much fun!! 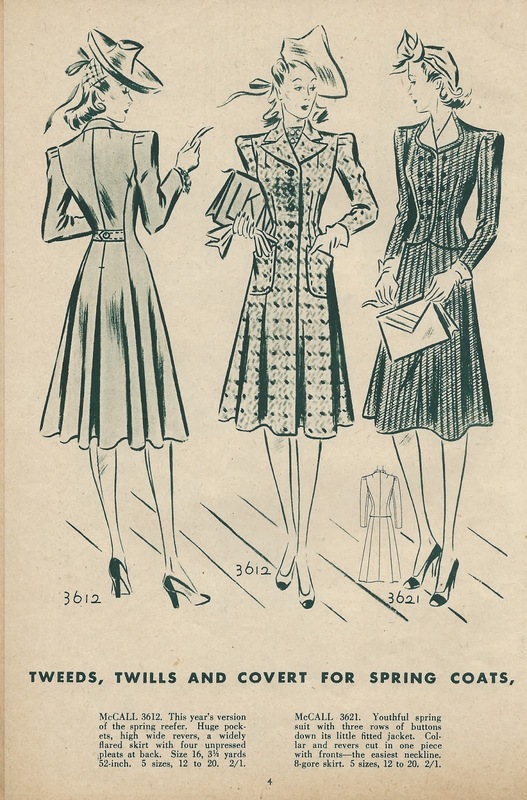 ...a fabulous 1920s design. 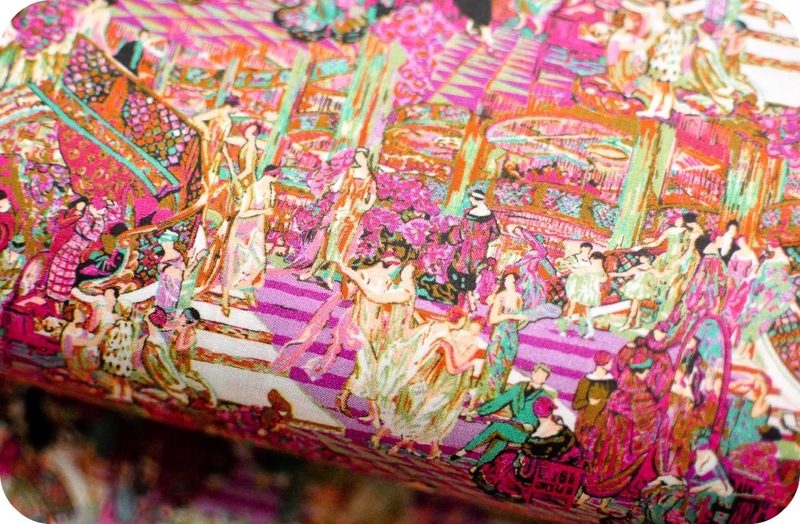 It's called 'The Atrium' by Liberty. I think I am in love....I got enough for a blouse, but may need to go back and get more!! It was a fantastic way to spend a Saturday! Thank you to everyone--I can't wait for future meet-ups! !